I arrived in Rome on an early Monday morning. After breezing through customs, I purchased a ticket for the Leonardo Express train, then hopped on board for my ride to the city. Following a scenic ride, we arrived at the Termini train station about 25 minutes later. I expected a small train station like most in the USA, but it was massive with restaurants and retail shopping on two levels. I was intrigued and walked around to survey the scene. Downstairs, I purchased a SIM card for my Iphone, then stopped for breakfast at a small coffee shop. I has a croissant and Grancrema, a frozen coffee drink that became one of my many guilty pleasures on the trip. After a bit of window shopping, I took a cab from Termini to my rental apartment in the Prati area. I was tired after my 9.5 hour flight and in desperate need of a nap. I slept for about 4 hours, then freshened up with a hot shower. After checking my social media, finally I headed out for a walk around the neighborhood. 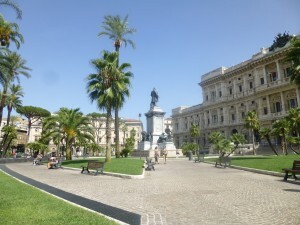 I eventually ended up at Piazza Cavour (Cavour Square), which was like an urban park with grass, palm trees and benches. While I was sitting, a friendly older Italian man sat next to me and struck up a conversation. It didn’t go very far since I don’t speak Italian and he didn’t speak English. But I was at least able to share that I was from the USA and it was my first time visiting Italy. Later that night, I had my first Italian dinner at Trattoria Memmo (olive bruschetta, mista salad and penne arrabiata) – it was delicious. The next morning, I got up and had breakfast at a nearby coffee shop, then headed off for some sightseeing. I started again at Piazza Cavour, which became my favorite place to sit, relax, and revel in my surroundings (often with gelato in hand). Piazza Cavour overlooks the enormous Palace of Justice which spans the length of the square. 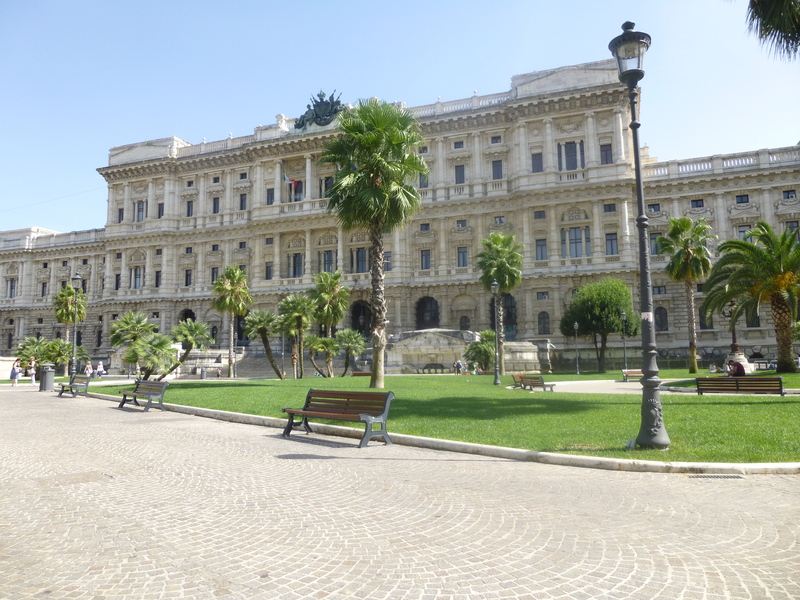 Although many Italians refer to it as Il Palazzaccio, “the ugly palace”, it was anything but ugly to me. The large size, bronze quadriga, and the ornate columns and statutes speak to the opulence that was a sign of the time it was built. 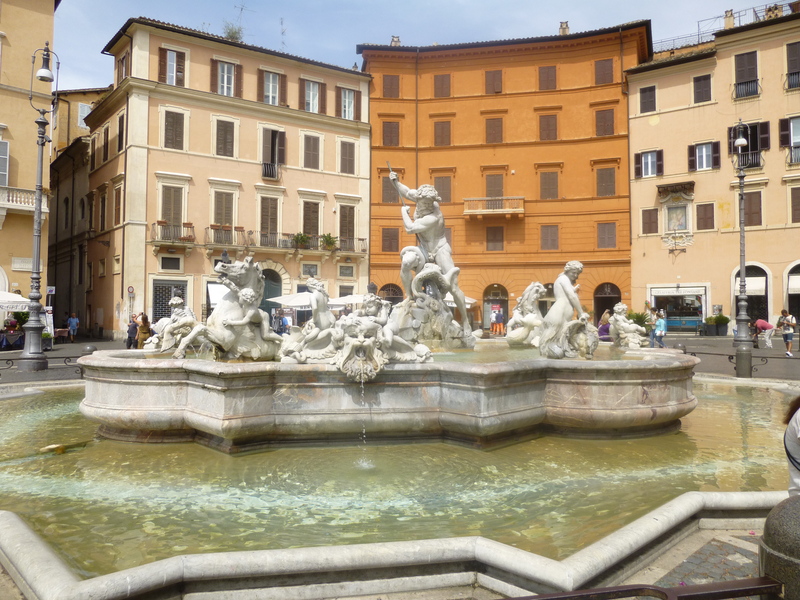 I next walked to see the nearby Castel Sant’ Angelo, then crossed the river and headed to Piazza Navona, a popular tourist hangout with a trio of fountains and a variety of street performers, painters, and vendors. I took pictures and people-watched for a while, stopping for some lemon gelato along the way. 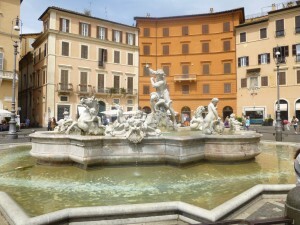 Next, I headed to Campo dei Fiori, a large open air market. Vendors sold a variety of fresh fruit, vegetables, pasta, and flowers, and it was interesting to watch Italians go about their daily business. Numerous restaurants, bars and pubs also surrounded the square making it a meeting point for both locals and tourists. I stopped for a lunch of pizza, salad and wine. Later, I went on to see the Pantheon, the Italian Parliament building, and a host of other beautiful historic buildings. I got off to a late start on Wednesday, so I took a taxi to the Vatican near St. Peter’s Basilica. I’d been forewarned, but little could have prepared me for the organized chaos that is Vatican City. As we drove up, I was amazed by the gargantuan complex and the huge crowds outside. I snapped some photos then walked around trying to get my bearings. 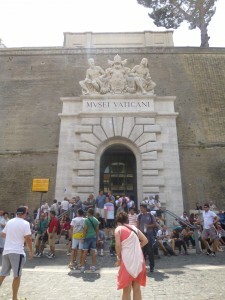 I had a 1:00 p.m. reservation at the Vatican Museum so I decided to pass on the long line to enter the Basilica. It took me about 20 minutes to walk from the Basilica to the Museum (yes, the Vatican grounds are that large), and as I got close I noticed another extremely long line. A sense of dread overtook me, but my fears were quickly allayed when I saw the line was for people without tickets. I was a bit early, but since I had a reservation I breezed through the next line and went right into the building. Once I looked at the site map and saw the vast offerings, it was clear that I’d be there for a while (and still probably would not see everything). I was hungry by then, so I went downstairs to the cafe for pizza and tiramisu, both of which were surprisingly good. After lunch, I headed back upstairs to start my audio tour. The museum’s art collection was amazing, outdone only by the ornate and elaborately decorated ceilings, walls and floors. After passing thru a seemingly unending maze of art and artifacts, and being tussled and elbowed by crowds of people, I finally made it to the Sistine Chapel. The ceiling frescoes painted by Michangelo were amazingly detailed and beautiful. 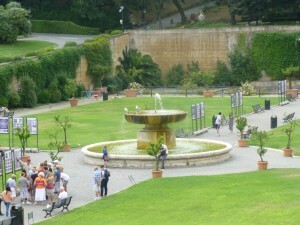 But the crowds were so massive (and confining) that I only stayed a short while before heading outside to the gardens. It was a gorgeous, sunny day and I spent a good hour enjoying the courtyard fountain and relaxing my tired feet. I finally left at 6:00 p.m., as the museum was closing. My friend Sylvia joined me in Italy on Thursday. We walked around the city, aimlessly roaming and taking in the sights. We ended up in Trastavere, which turned out to be my favorite neighborhood. 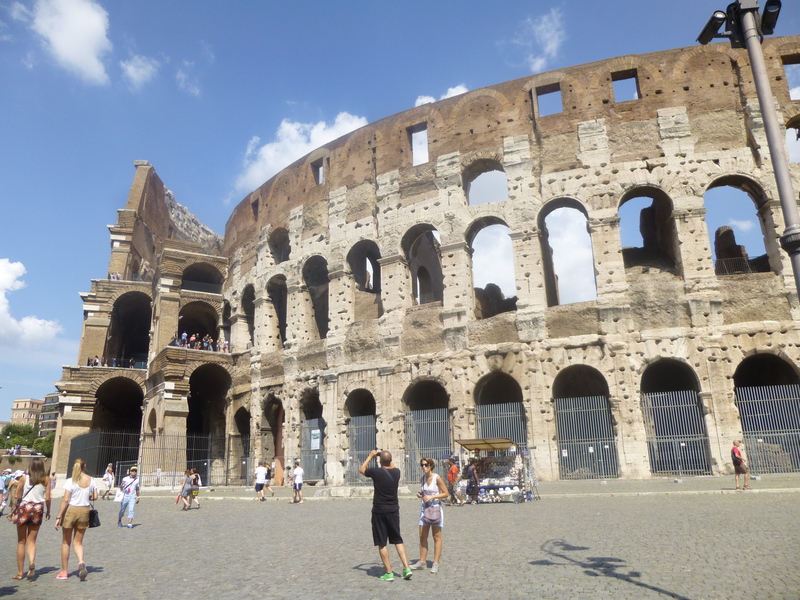 It was bustling with locals, so it gave us a chance to really see the everyday life of Italians. People congregated in the piazzas, enjoying time with family and friends and watching the various street performers. There were numerous stores, restaurants, pubs, and gelato shops right within the community. We strolled through the streets, window shopping and eating gelato (strawberry and kiwi for me) and other sweets. 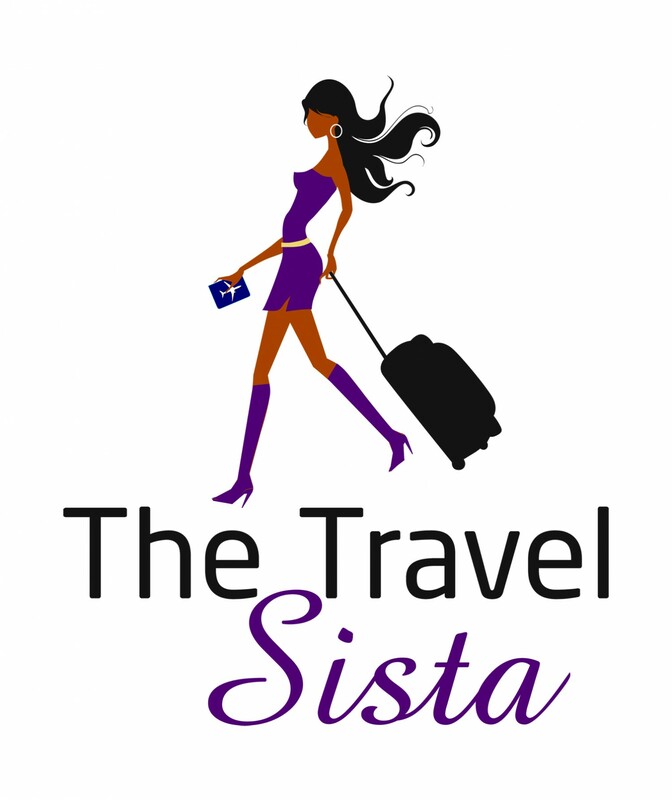 We saw beautiful hand-crafted leather purses, shoes, and jewelry. After a couple hours, we stumbled upon Cave Canem Trattoria, where we stopped for dinner. 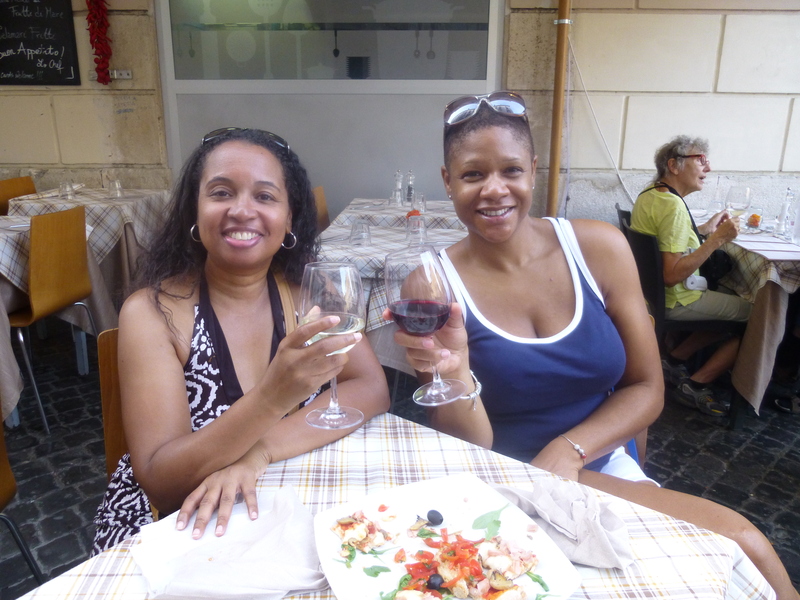 We had a salad and delicious salmon and shrimp pizza, accompanied by wine, of course. During dinner, we were serenaded by musicians and entertained by a magician. The culture was fascinating – people went for dinner after 8:00 p.m. and even after 10:00 p.m. families were still out with the kids. You’d never know it was a week night. On Friday, we took the metro to the Colosseum. As soon as we exited the metro station, we could see the hulking monument right in front of us. Luckily, the lines weren’t long and we entered rather quickly. It was incredible to see this thousands-year-old building still standing strong. Most of it is surprisingly well preserved, despite its storied history. 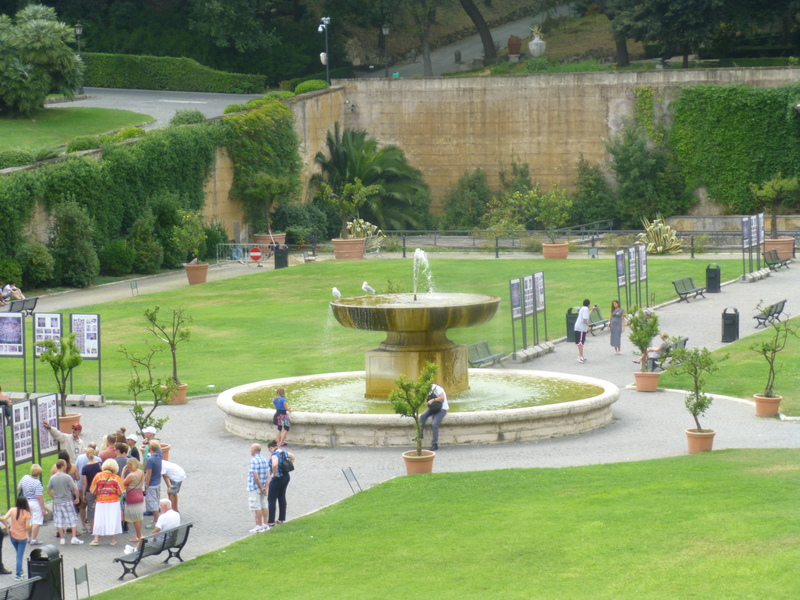 Next, we headed over to Palatine Hill and the Forum. We snapped a few pics, then took the metro over to the Spanish Steps which was packed with people. It was clear we were in the “high rent district”, as we saw all the high end stores like Louis Vuitton, Gucci and Prada. We strolled the area, then stopped for drinks of limoncello and people watching. Later, we had dinner and drank wine at Numbs before heading in early to get ready for our morning flight to Croatia. I had an enjoyable and relaxing week in Rome. My favorite thing about Rome was the laid-back lifestyle and the many piazzas and restaurants where you can drink wine, eat gelato, and take in the beautiful views. What do you like about Rome? Share your comments below.